Here is a selection of some of the clients that we have worked with, what we have done for them and some of the things they have said about us. Express Pharmacy is an online pharmacy that sells medication over the internet. As this site sells prescription medication it is a little bit more complicated than a regular online shop, and each order has to go through a number of steps including an online medical consultation where the prescription is approved by a doctor. Since we started work on Express Pharmacy, the number of orders coming in has gone up and up. One of the main focuses of our work has been on improving the efficiency of the back-end website that staff use to fulfill the orders, so that they can keep up with the increasing work load. 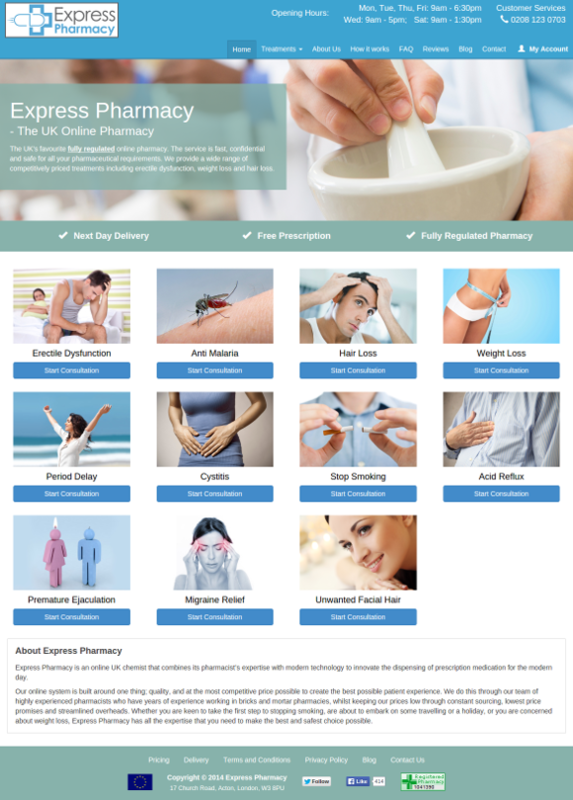 The Express Pharmacy website has lots of custom behaviour and third party integrations. In addition to processing credit card payments, the site also automatically sends emails and SMS messages, connects to a thermal printer to print shipping labels and has lots of customer service related integrations such as instant messaging and a ticketing system. As the site contains lots of sensitive data, there is a strong emphasis on security and reliability. I hired Steve for an industry specific e-commerce website that needed to be built from scratch. From the start, I noticed that he very quickly understood what I needed, despite the complex nature of the task. He communicated with me at all times, and carefully planned out the development work stage by stage. His development work resulted in a website that was considerably faster, more efficient and scalable than other similar websites that I had seen. By listening to my team and their requirements and suggestions, Steve streamlined an otherwise cumbersome series of processes. Thanks to Steve's work, I have seen my staff have been able to process orders in a quicker, more efficient manner and have not once complained about anything computer-related! I would always recommend Steve to anyone that is looking to hire a developer. He is very friendly, easy to work with and has fantastic insight into how to improve business processes using technology. He has been an integral part of the success of my website and business and I wouldn't consider using anyone else for development work. 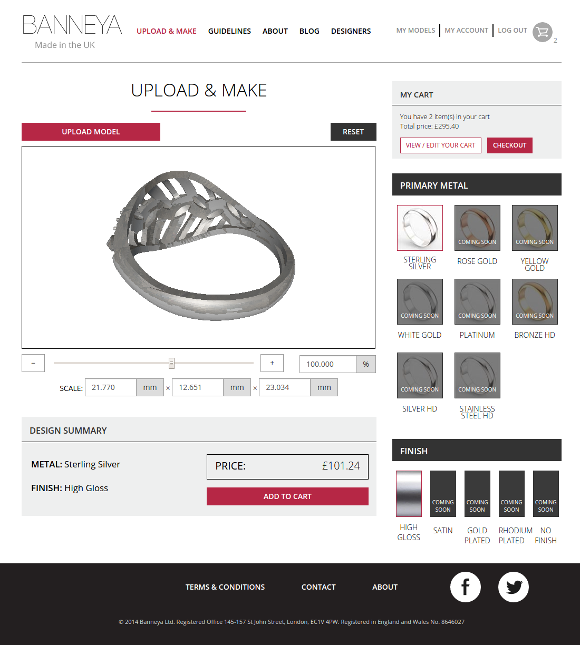 Banneya London is a website that sells customised 3D printed jewellery. 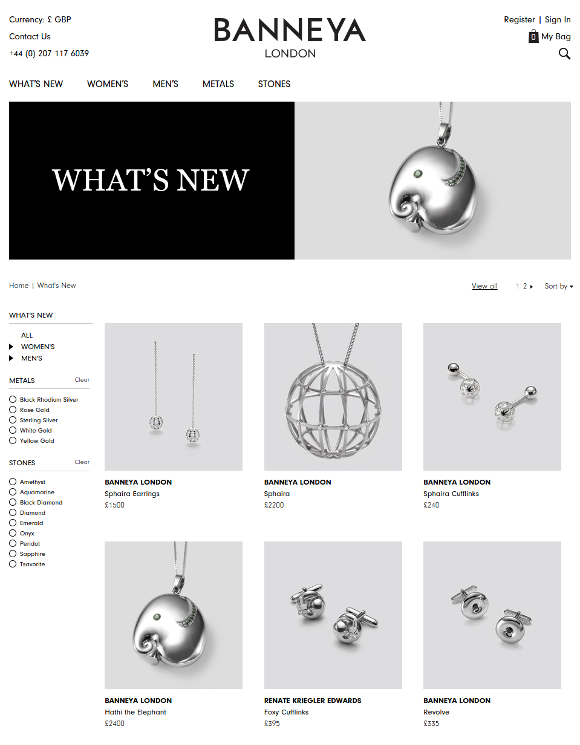 Users have the option of browsing through their selection of products and then customising them, changing the metals and gem stones used in the jewellery, or uploading their own 3D models and having them custom made out of precious metals. Steve has been a pleasure to work with on the development of my site. His in depth experience and professional approach gives you a lot of confidence in the outcomes. Knowing that he can deliver on both front end work as well as back end development is a big plus too. Would highly recommend him to anyone. MMO Lab is a website that enables users to build their own online games (or more specifically: Massively Multiplayer Online Roleplaying Games). This project comes in two parts. 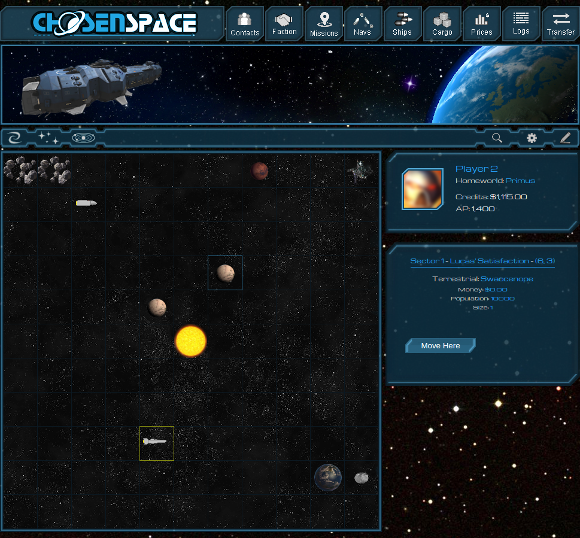 The first part is the game engine that allows users to play the games, and the second part is an editor that allows users to create their own games without having to have any programming skills whatsoever. 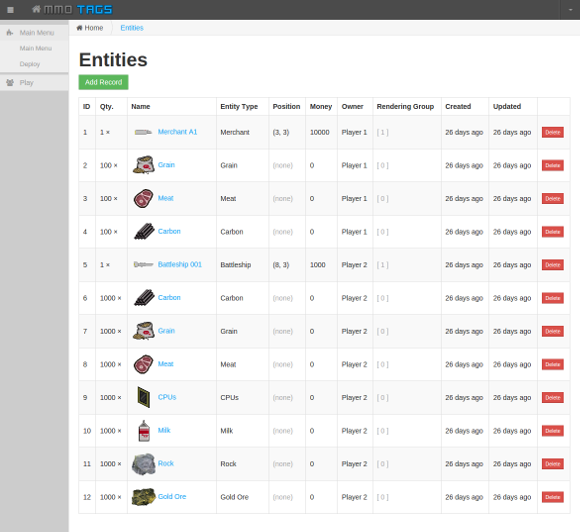 This project has been challenging as it has lots of complex behaviour, and the fact that everything is completely customisable from inside the editor adds significantly to the size of the project. My background working for a games development company and experience developing my own games has been invaluable whilst working on this project. Stephen is incredibly helpful, always willing to chat about the project and very capable when it comes to explaining any complex issues in an easy to understand way. The consultation sessions really helped me to gain clarity about where the project was and how things were progressing, making the whole thing stress free from my end. I'm a very visual person so Stephen's use of screen shares and virtual whiteboards was invaluable. Could not recommend highly enough, a professional yet amiable service. 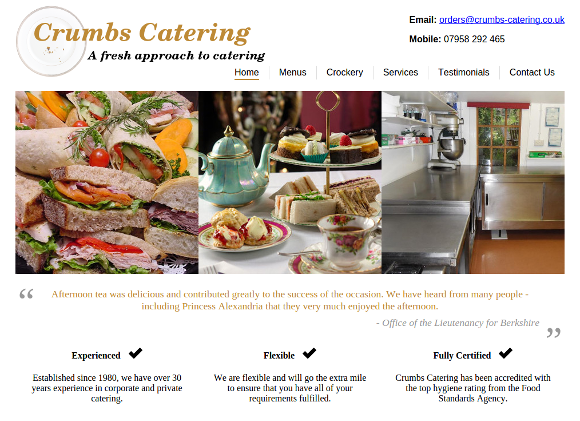 This is a website we created for a catering business. Previously Crumbs Catering relied on word of mouth and leaflets to find new customers, but since building this site the majority of new work has come from people who discovered them on Google. 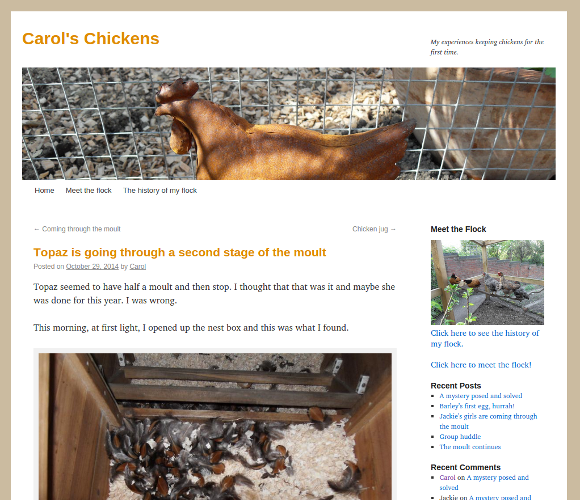 Carol's Chickens is a WordPress blog about keeping chickens at home. The main part of the work on this site consisted of helping Carol to decide how she wanted the site to look, and then creating a custom WordPress theme.